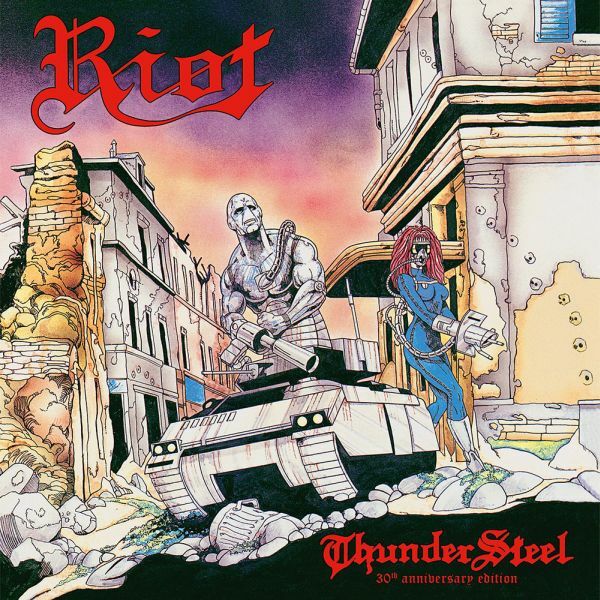 RIOT - THUNDER STEEL 30 ANNIV. EDIT. (CD+DVD DIGI) | Online Shop | Wizard LTD. Album: "THUNDER STEEL 30 ANNIV. EDIT. (CD+DVD DIGI)"
On November 30th Metal Blade will release a "30th Anniversary Edition" of one of the most popular RIOT albums, "Thundersteel". Originally released in 1988 the album is getting the full Metal Blade treatment including a bonus-DVD with exclusive footage. The sixth output "Thundersteel" of the heavy metal formation Riot from the year 1988 is going to be re-released. This edition scores next to the 2017/2018 of Patrick W. Engel remastered classics (including bonus tracks) with a bonus DVD, live in Havlesville - Texas 1988 &apos;as well as "Thundersteel - Anniversary Shows (recorded on 24 and 25 October 2009 in Tokyo, Japan) ", a documentary and interviews (Japan 1989) as well as 3 production videos. A total of 120 minutes of playing time!! !